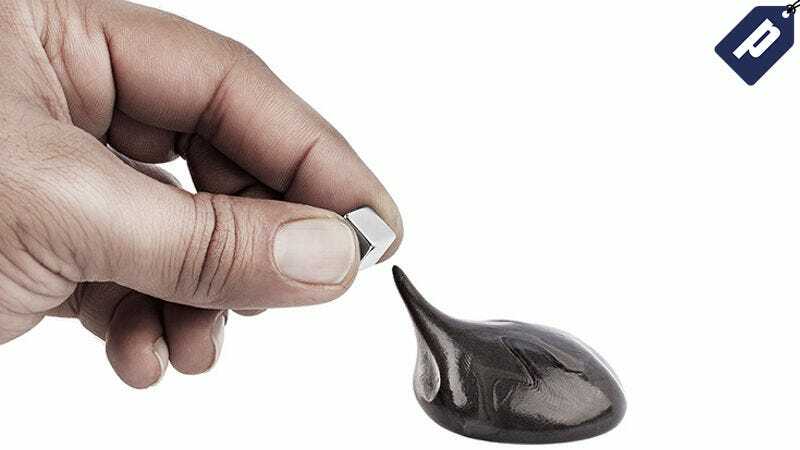 This Scientific Magnetic Thinking Putty is not only a great stress reliever and fun to play with, it has magnetic properties so you can even stick it up on your refrigerator. One pack normally costs $25, but you can pick one up today for just $10 or a two pack for $15 + free US shipping. This putty has the same classic viscoelasticity so you can mold, stretch, and break it into pieces, but is infused with iron to give it its magnetic properties. It’s a stress reliever and household item all in one, and you can get it now for over half off - $10 for a single, or $15 for a two-pack. Today, use code SAVE15 at checkout for an additional 15% off.